Based on the novel Benighted by J.B. Priestley, this James Whale film was a smash hit in the UK, but not so much here at home. 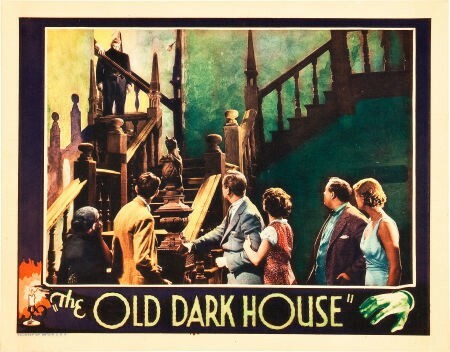 For my money it is the APOTHEOSIS literally of what… well, Old Dark House movies should be. It disappeared and was thought lost shortly after the Roger Corman version came out, but was luckily found. Yep, he's the guy under all the Frankenstein makeup. Apotheosis is the ideal example of something, the epitome, the quintessence, and Whale really delivers here. 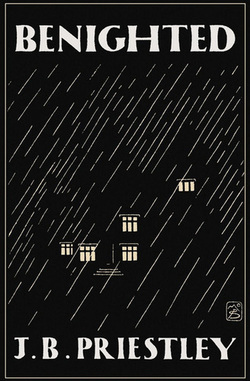 It’s got strangers forced by weather to take refuge at the only house available to them. 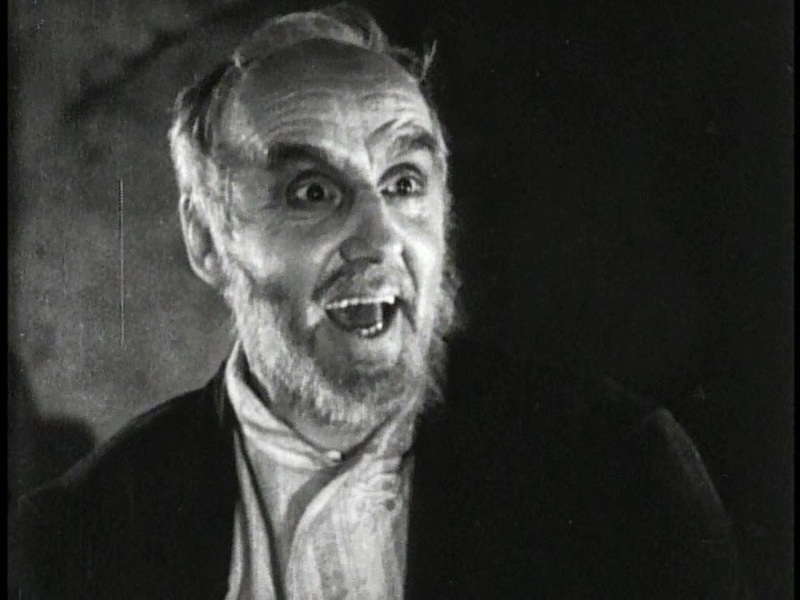 It’s creepy from the get go when a strangely hairy man in a suit opens the door and them slams it in their faces. He’s very primitive looking, but soon is replaced by none other than Boris Karloff…not a reassuring substitute. 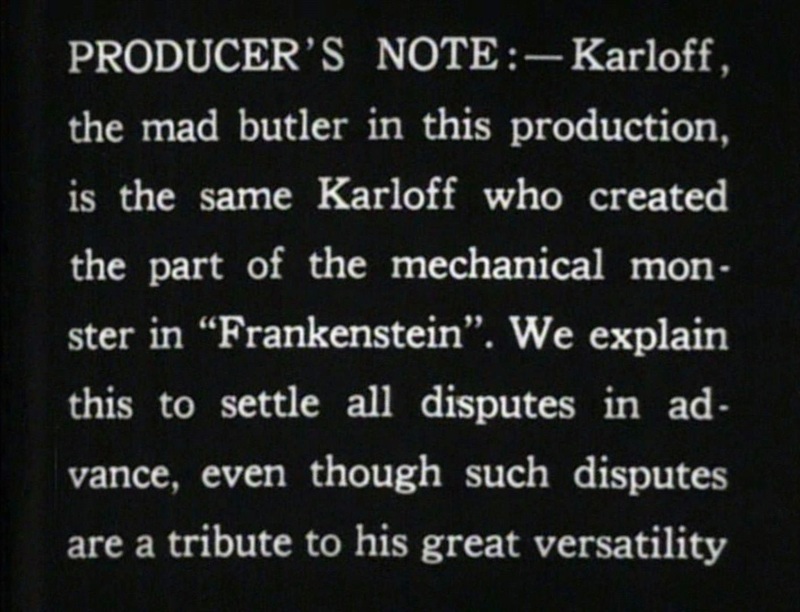 Karloff is such a consummate actor that the film even has a disclaimer at the beginning assuring audiences that it’s the same actor as was in Whale’s Frankenstein film the previous year. More strangers show up but not until we’ve meet some of the occupants of the strange house. A mostly deaf sister who is the worst hostess in film history. 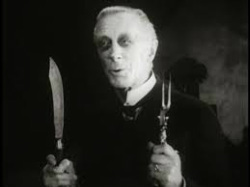 He brother (Karloff) who’s effete and kind of a sarcastic douche. Then there’s Morgan…the Mr. Hyde looking hairy butler with cuts on his face who grunts his way through most of the film. They bark orders at him like he’s their slave and for some reason Morgan goes along with it. Then there’s the Patriarch upstairs (played by a female actually adding an even creepier subtext) dying in his bed. And last but not least someone or something locked behind a door making eerie crying sounds. Good ole Saul, not the madwoman in the attic, but as damned close as one can get to it. Doesn't get much creepier than this old dark house. The power goes off…nice. We’re left to candle and firelight for mood and atmosphere. The wind is howling through most of the movie…nice. 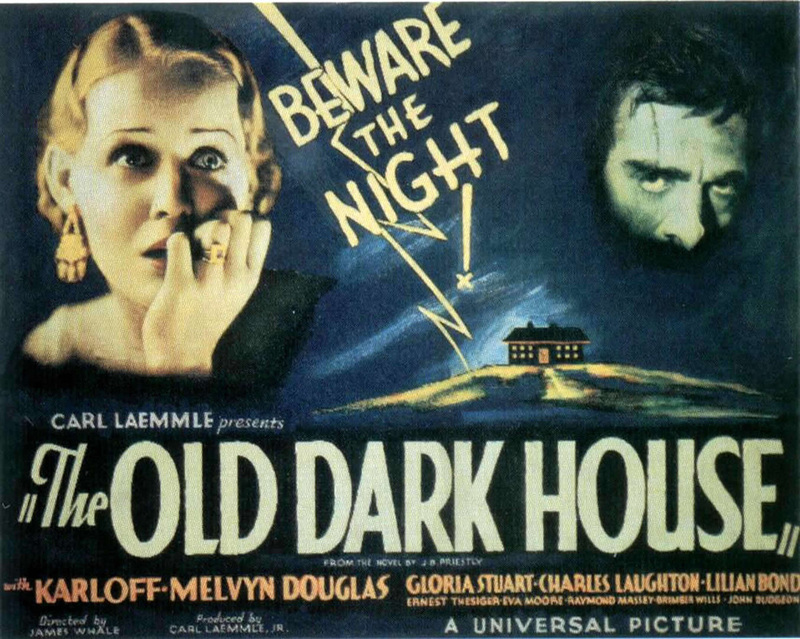 There’s Karloff, Melvin Douglas, and Charles Laughton…nice! The house itself is dark and old...double nice. All in all Whale masterfully creates what becomes the standard for all Creepy House movies to follow. He lays down a template for all the bad-weather-bridge-washed-out-strangers-gather-for-the-reading-of-the-will flicks that will follow like The Bat or The Cat and the Canary all the way up to most recently The Cabin in the Woods. Well done, Mr. Whale.